VITALATEX NECK SUPPORT PILLOW (24x16.5x4.5") - High quality latex foam pillow. Enjoy proper neck support while you sleep. Designed for back or side sleeping. Great for those individuals allergic to the smell of Memory Viscoelastic foam products. 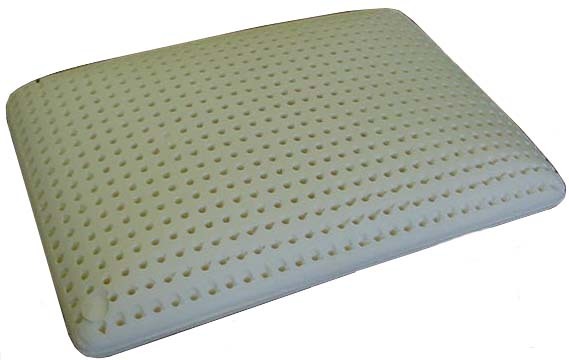 Resilient, odorless and long lasting latex foam pillow. Uses standard 24x17x5" or larger pillow cases. Optional terry cloth cover is available for this pillow.